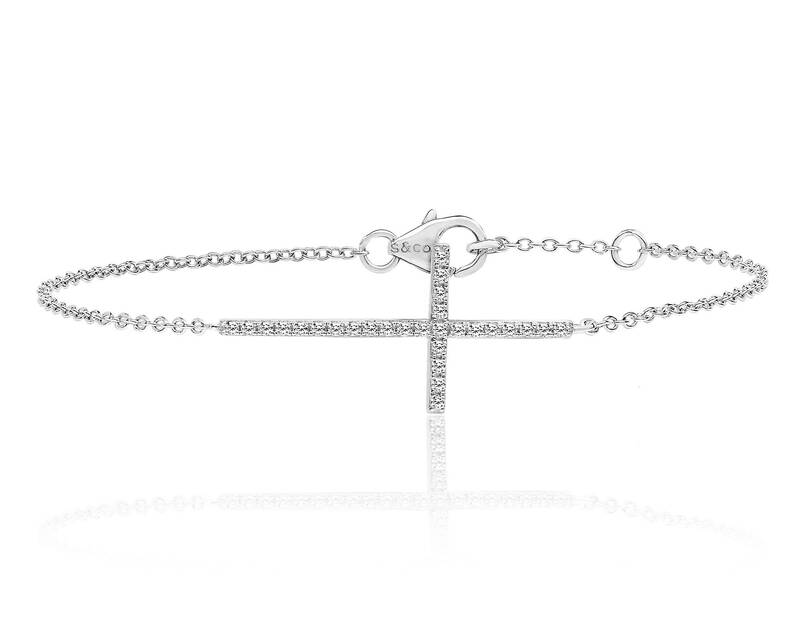 Sterling silver sideways fine cross bracelet micro pave set with cubic zirconia stones. Bracelet measures 7"/17.8cm long, 1.5mm width with lobster clasp fastening. Crafted in rhodium plated 925 sterling silver.